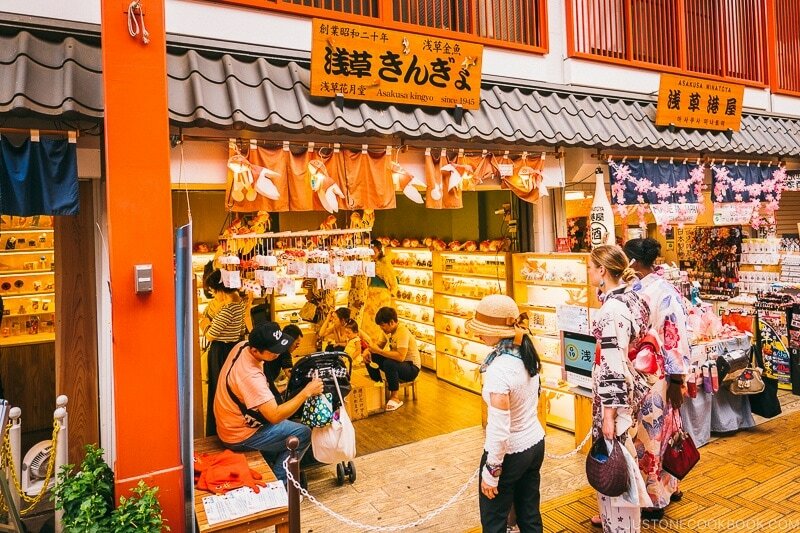 One of the most popular places to visit in Tokyo is Asakusa, step into a different time with the historic Sensoji temple and enjoy traditional sweets and food on Nakamise Shopping Street. 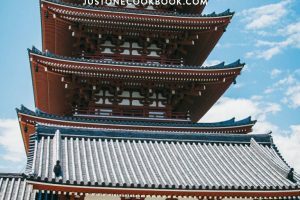 As we are getting close to the end of the Tokyo Travel Series, we’ll cover Asakusa in this post. 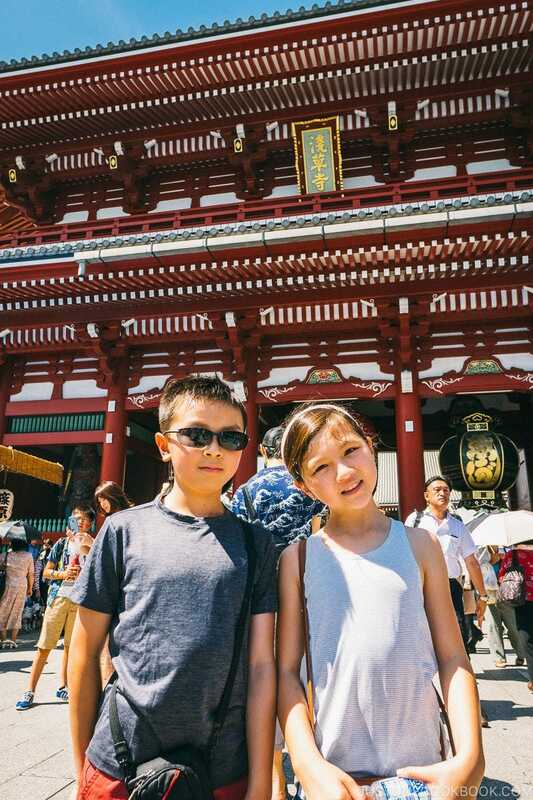 We actually shared our family’s visit to Asakusa a few years ago and it’s about time for an update. 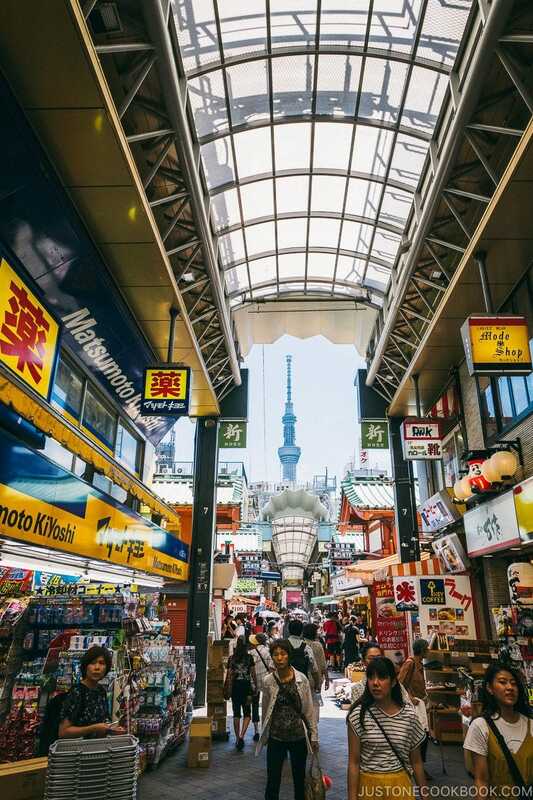 If you are interested in the rest of our Tokyo series, the link to the travel guides are below. 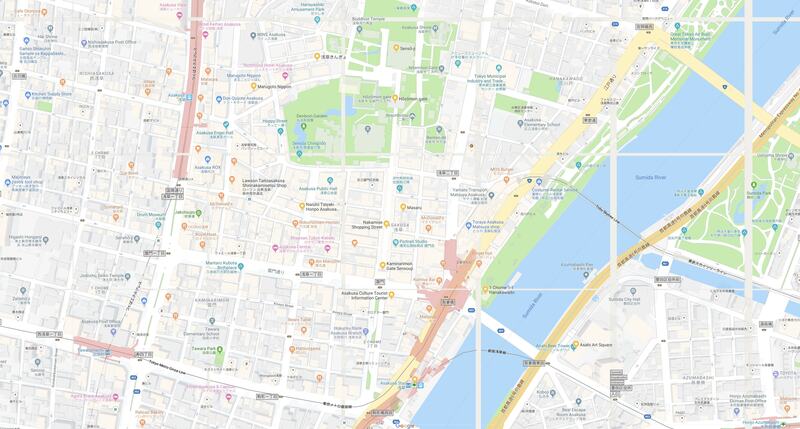 How to Get to Asakusa? Asakusa is located in the northeast corner of Tokyo and you can get to Asakusa Station via both the Ginza line and Asakusa line. 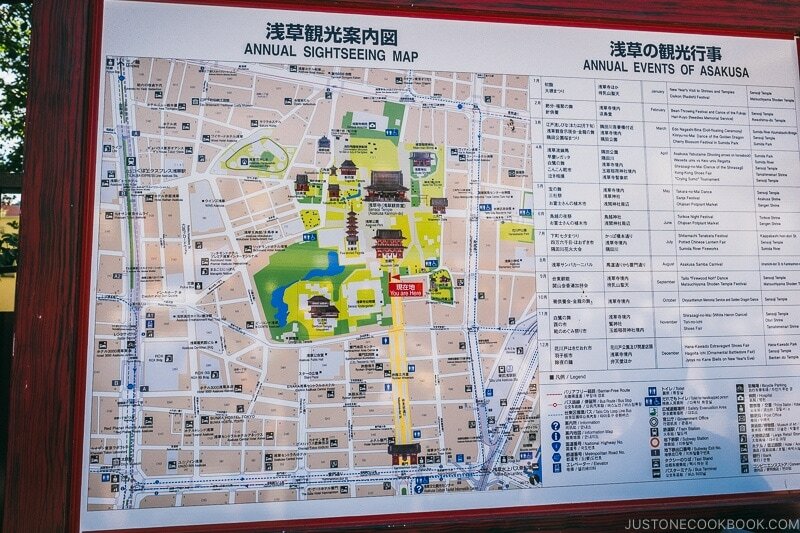 Once you get there, it’s just a short walk to Nakamise Shopping Street and Sensoji, the oldest temple in Tokyo. 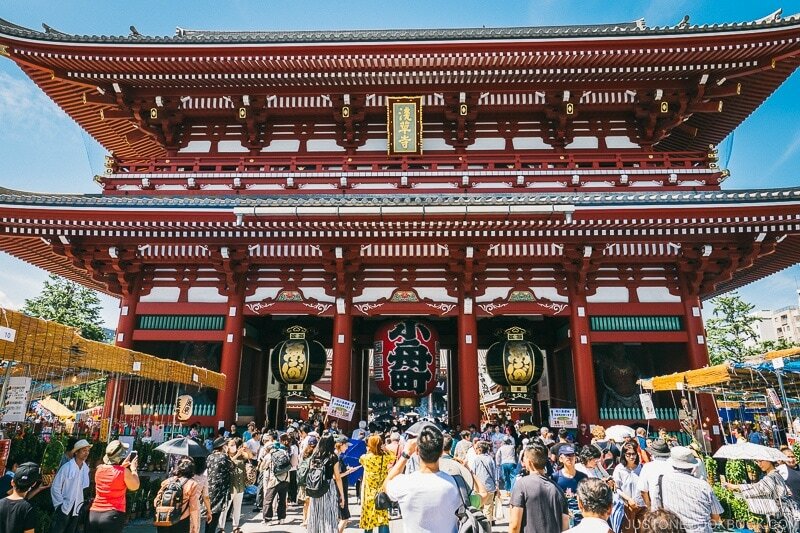 Asakusa is one of the most popular places for visitors to Tokyo with over 30 million visitors a year. 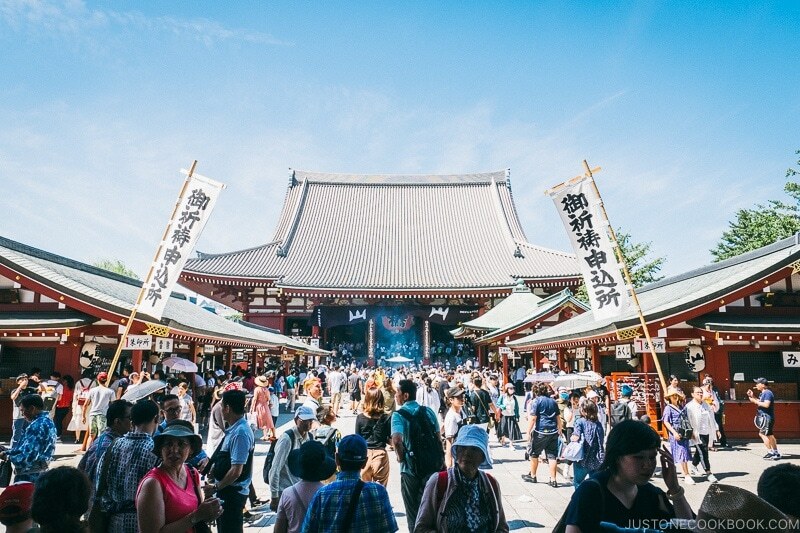 Images of Kaminarimon Gate (雷門) appears frequently in media and tv shows about Japan and Tokyo. 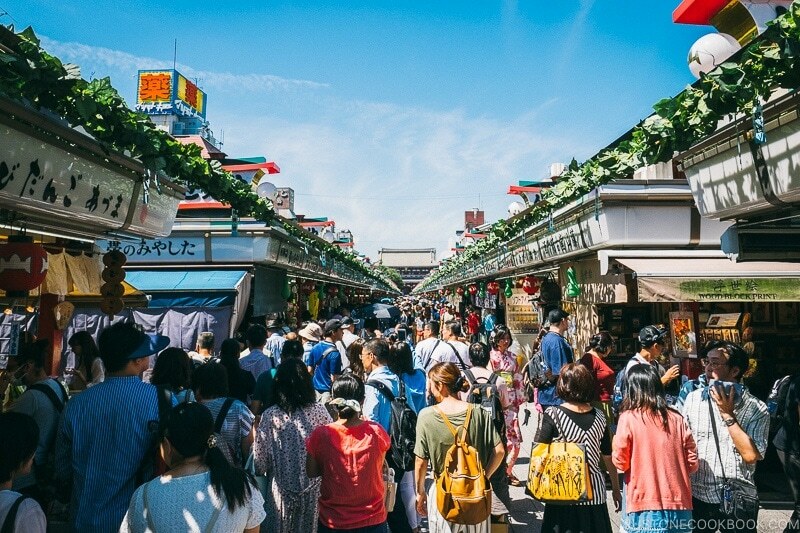 For this posts, we’ll cover the shopping streets and restaurants in Asakusa area, Nakamise Shopping Street (仲見世商店街), Sensoji Temple (浅草寺), and fun activities for the entire family to do nearby. 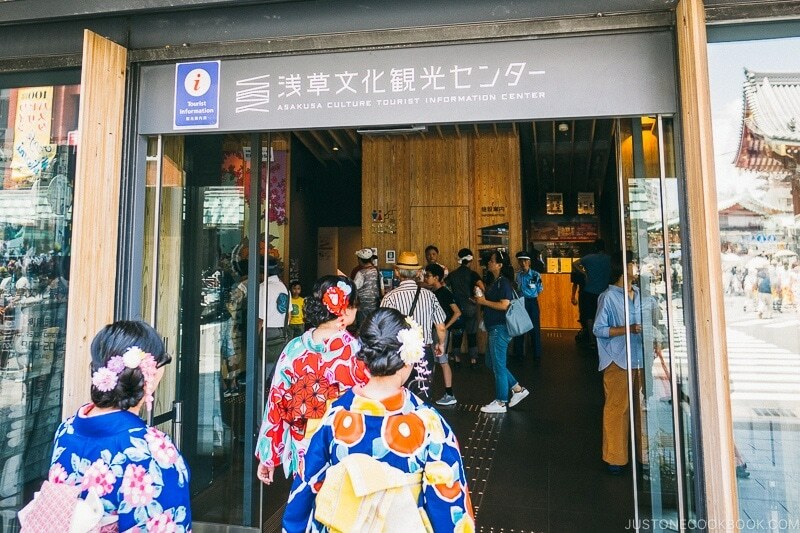 If you’re not sure where you go, you can stop by the Asakusa Culture Tourist Information Center (浅草文化観光センター). There’s an observation deck on the top floor where you can take in the view of the area. Rickshaw rides waiting for customers. When you pass Asakusa Culture Tourist Information Center and cross Kaminarimon Street, you’ll see Kaminarimon Gate (雷門). Don’t go through just yet, head to the left and you’ll discover many restaurants and shops. 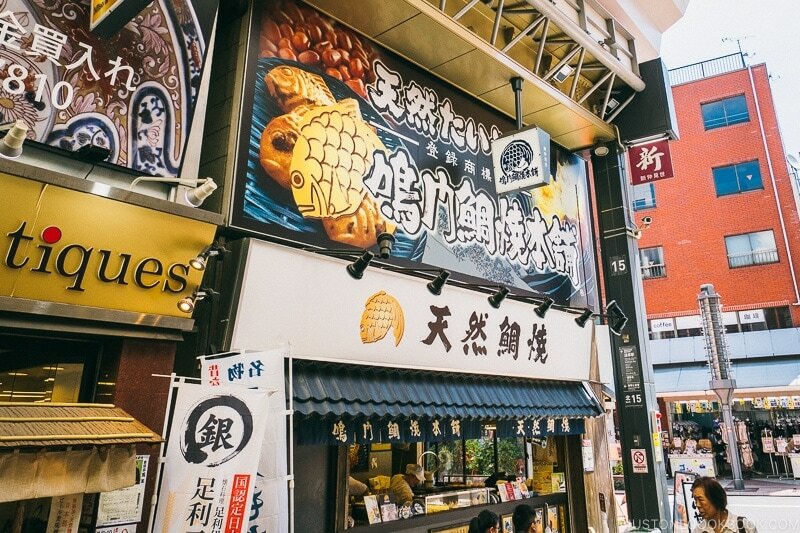 As you explore the street and shops just west of Kaminarimon Gate, there a variety of famous shops there that sells Japanese pastries like taiyaki and melon pan, and some unique souvenirs. 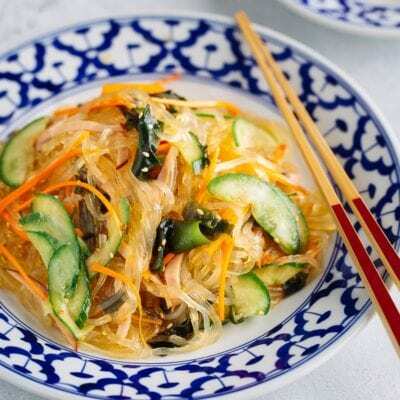 Besides shops and snack stalls, there are plenty of restaurant choices to explore as well. 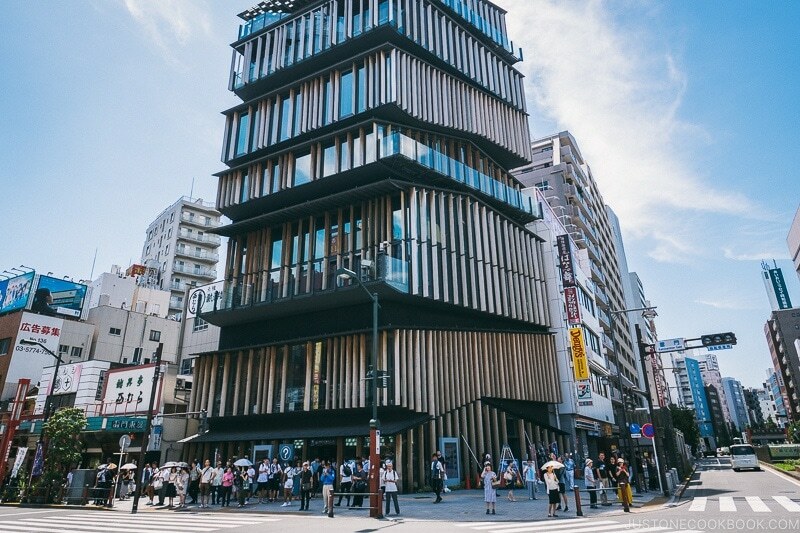 Head back towards Kaminarimon Gate (雷門) and Nakamise Shopping Street (仲見世商店街) when you’re done browsing. 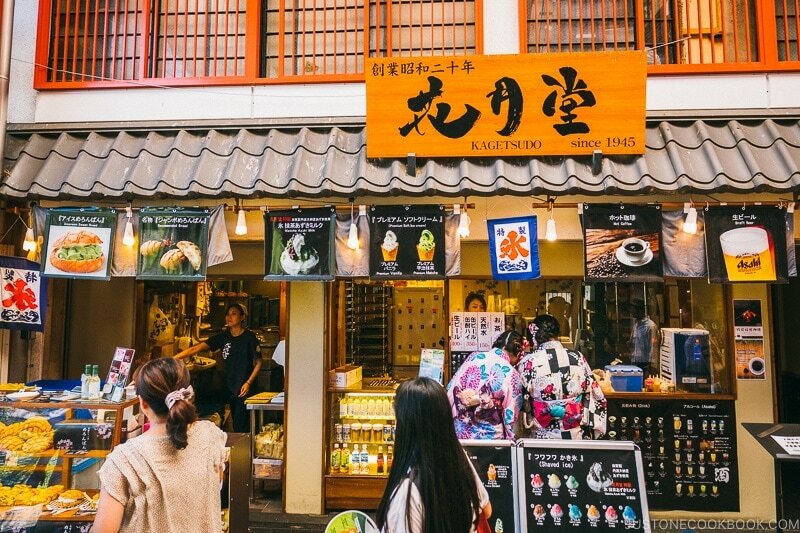 Nakamise Shopping Street or Nakamise Dori is the main approach to Sensoji Temple, there are about 90 shops sell traditional Japanese snacks and souvenirs. Just a word of caution, it could get really crowded so be careful if you have little ones. 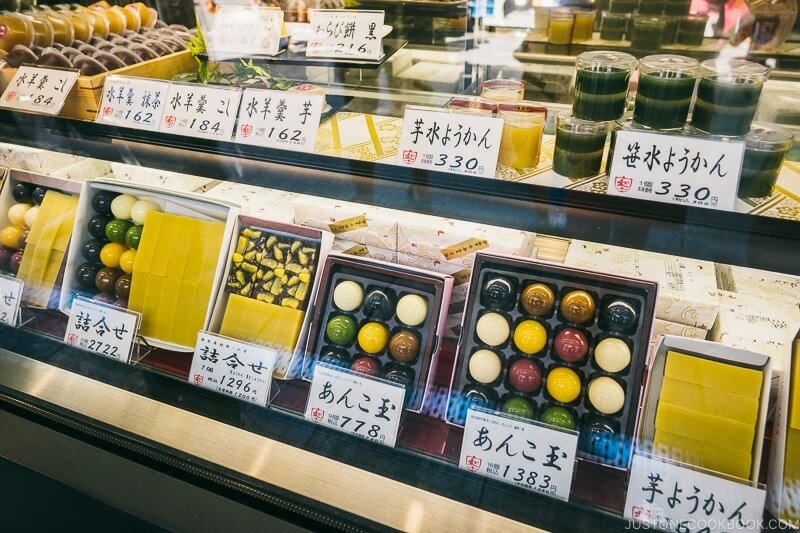 As you walk along Nakamise Dori, you will notice many shops sell traditional Japanese sweets and snacks and some of them are made right there. 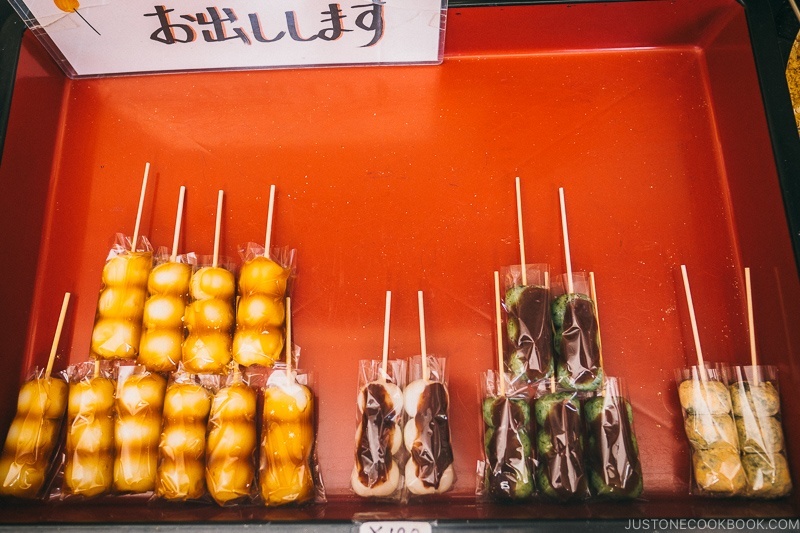 The sweets include dango (団子), ningyoyaki (人形焼), yokan (ようかん), and candies. 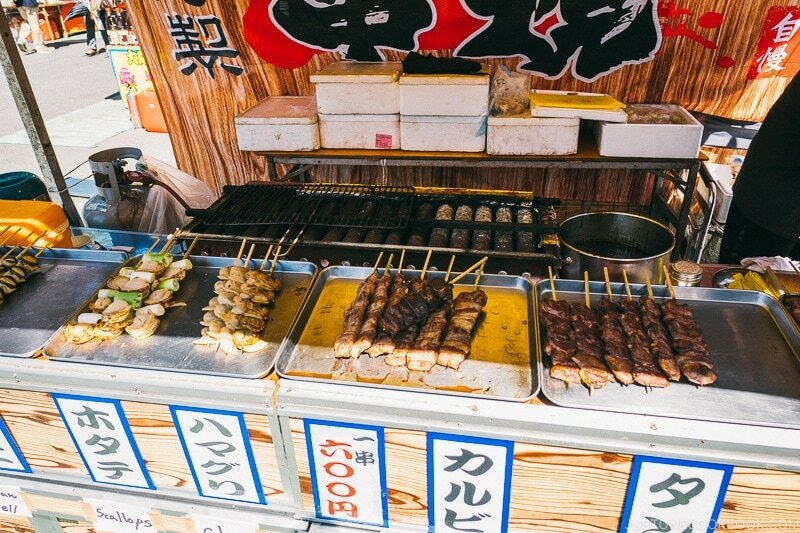 On Nakamise Shopping Street and nearby area, you will find many shops that sell Ningyo yaki (人形焼). It’s a sweet cake with red bean inside and comes in many different shapes. 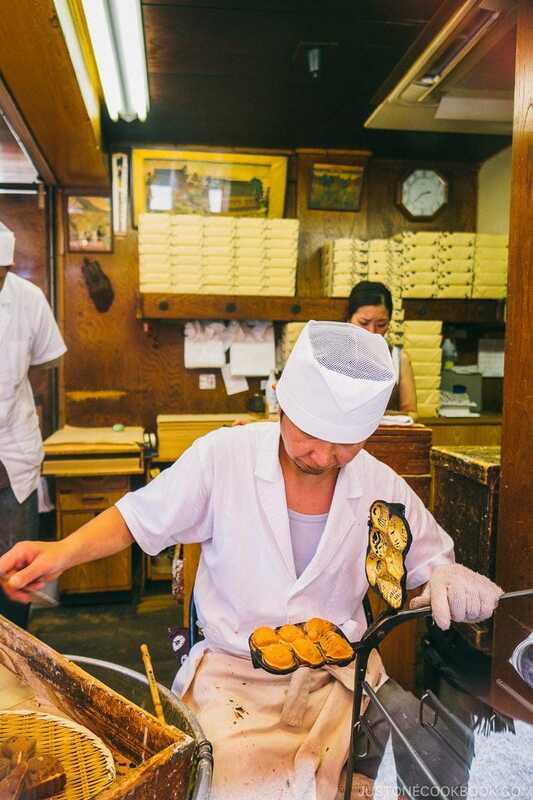 On the street, there are a few shops where artisans are making the cakes right there in the shop by hand. It’s quite fun to watch. 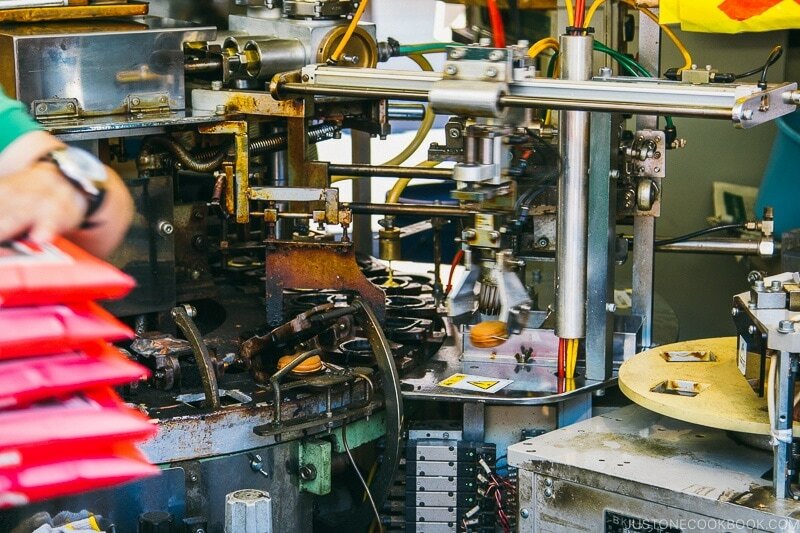 Other shops had machines that made them and it’s similarly entertaining to see each of the red bean cakes being formed and packaged. Ningyo yaki being made the traditional way by hand. 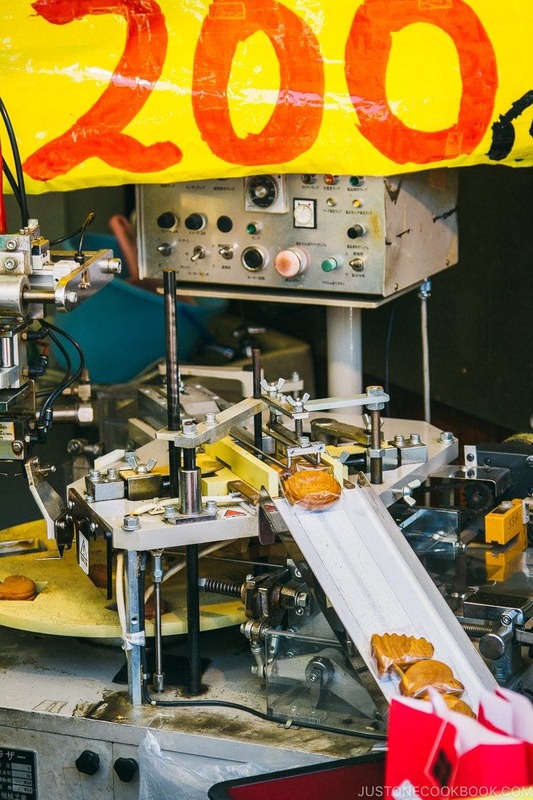 Ningyo yaki being made by machines. 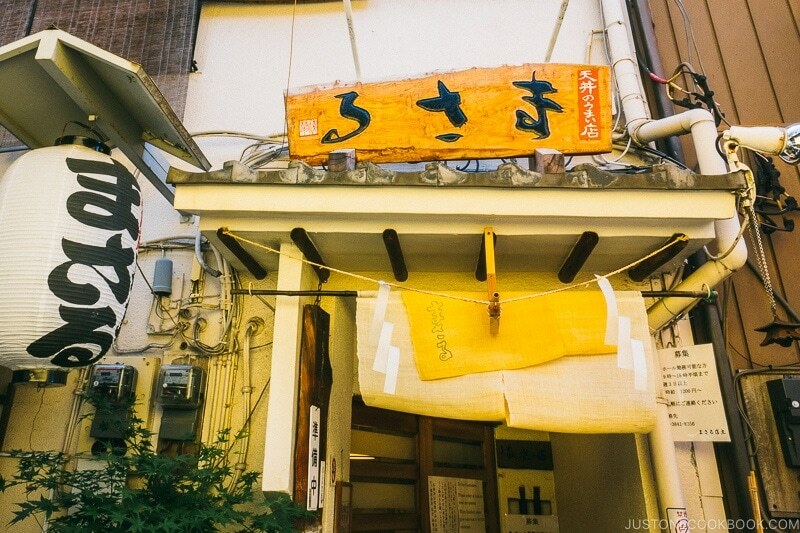 Besides the sweets, there are shops that sell traditional rice crackers – Senbei (煎餅). 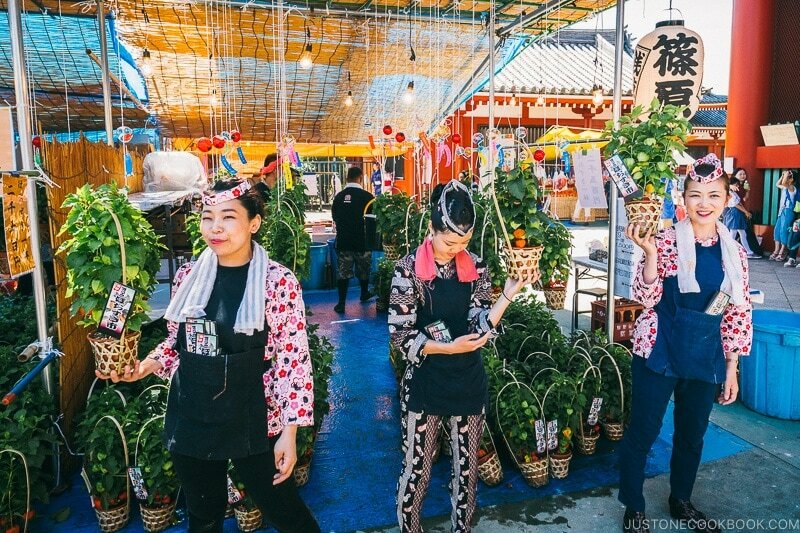 Each year on July 9 and 10th, Asakusa hosts Hozuki Ichi – Japanese lantern flower market. 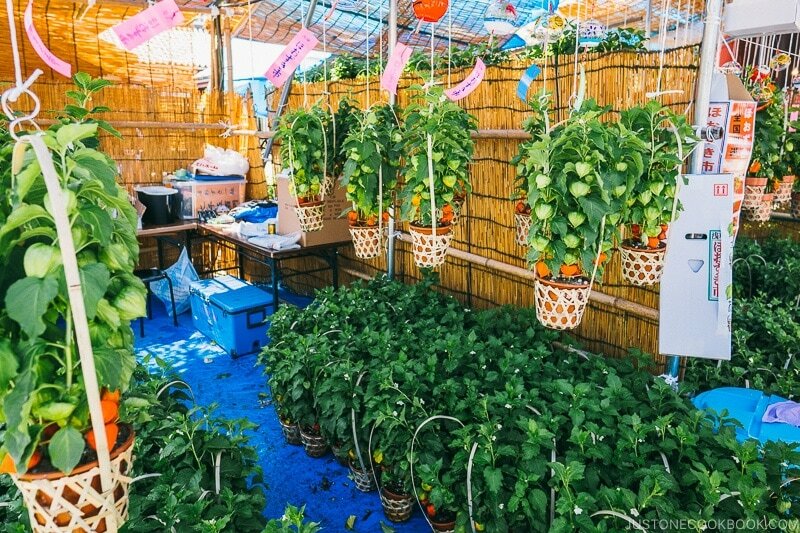 We happened to be there at the time and many vendors selling hozuki flower (Japanese lantern). 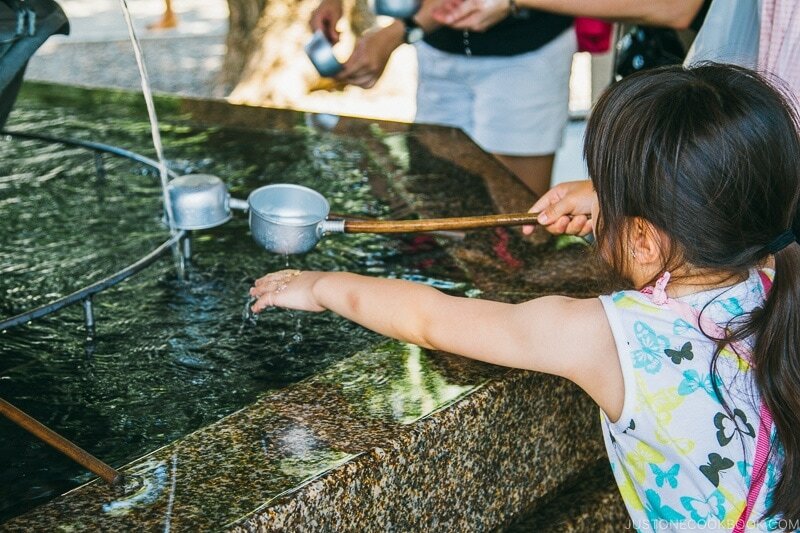 Hozuki are used to guide the souls of the deceased family members during obon (お盆). After you pass through Nakamise-dōri, you see the red gate, Hozomon (宝蔵門). Here, you can walk up to the burning incense and wave the smoke towards the part of your body you want to be blessed. 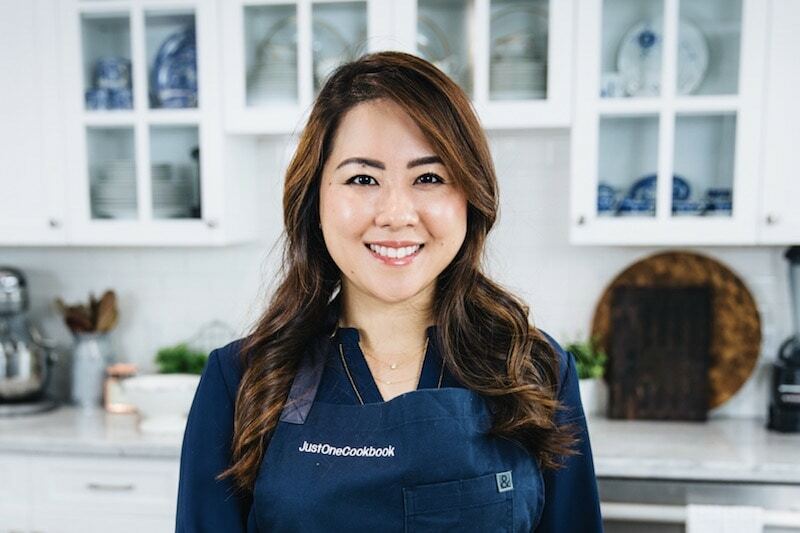 Hand the ladle back to your right hand one more time and pour some water into your left hand and rinse your mouth (do not drink from the ladle). 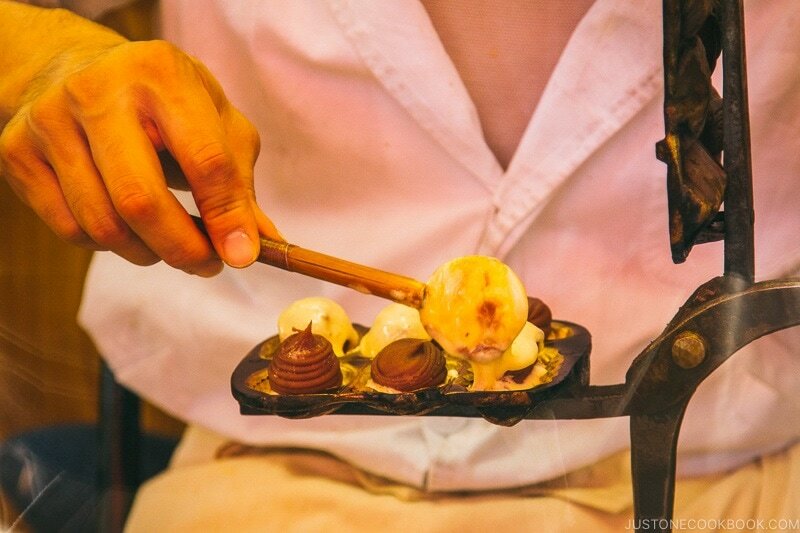 Hold the ladle straight up, let the rest of water run down the wooden handle to purify, and put it back. Don’t cleanse inside the fountain. 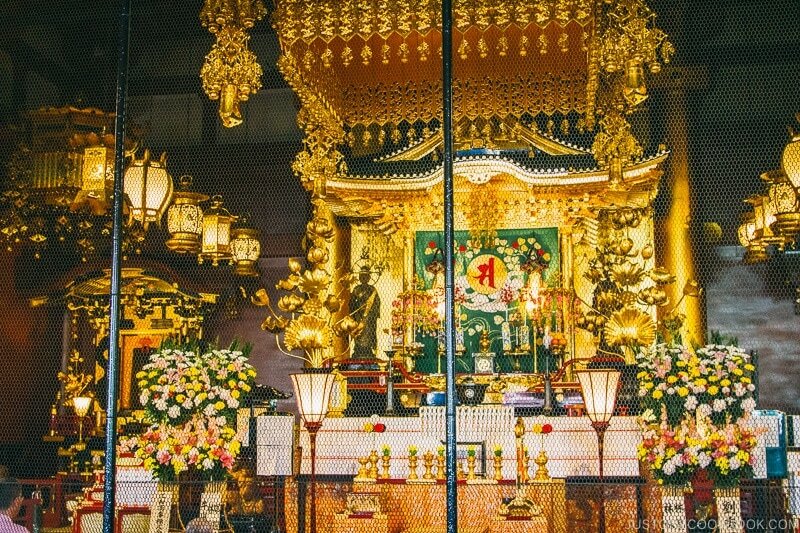 As you arrive in the main hall, Kannondo Hall (観音堂), the god Kannon sits at the center surrounded by other gods. After you are done praying, you can get a Omikuji (おみくじ), and read your fortune. 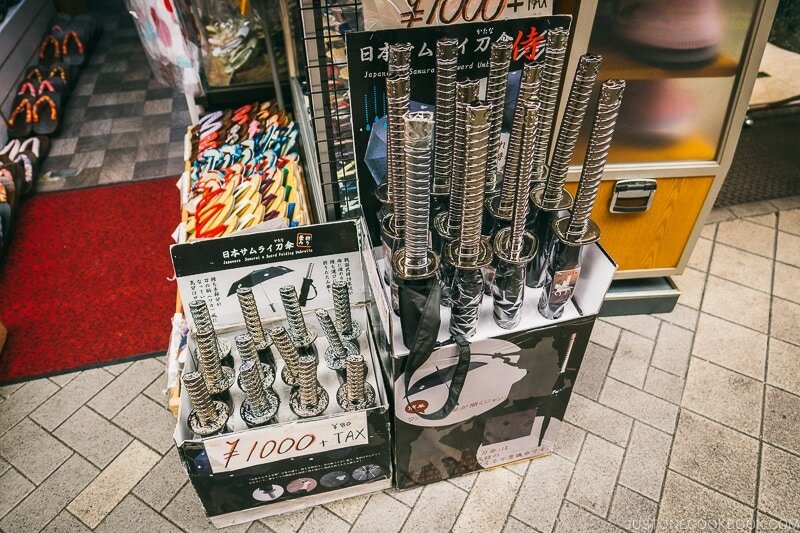 In the Japanese tradition, if you get a bad fortune (凶), roll up the paper and tie it up on the rack nearby. Pray to the bad fortune and hope the gods will protect you from harm. Looking back at the entrance from the main hall, you’ll see the grand five story pagoda (五重塔) easily spotted from nearby areas. 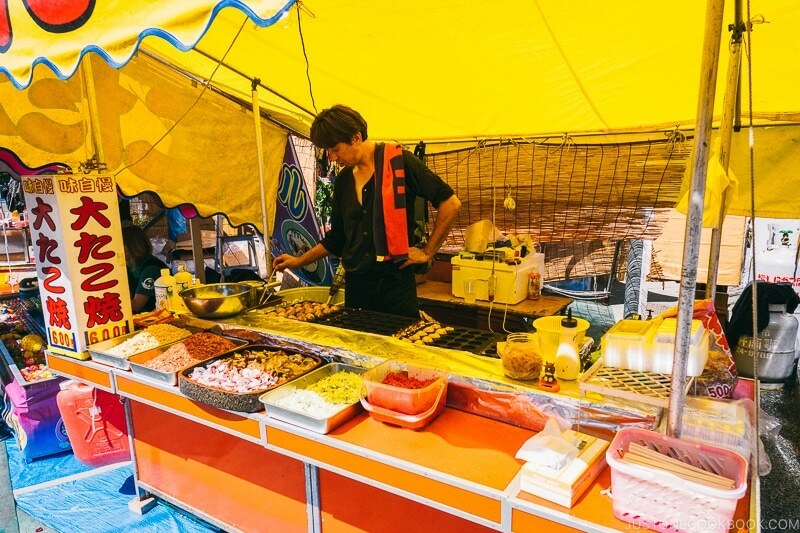 During the summer, Japan has many festivals and there were many festival food vendors serving various Japanese street food nearby the temple. 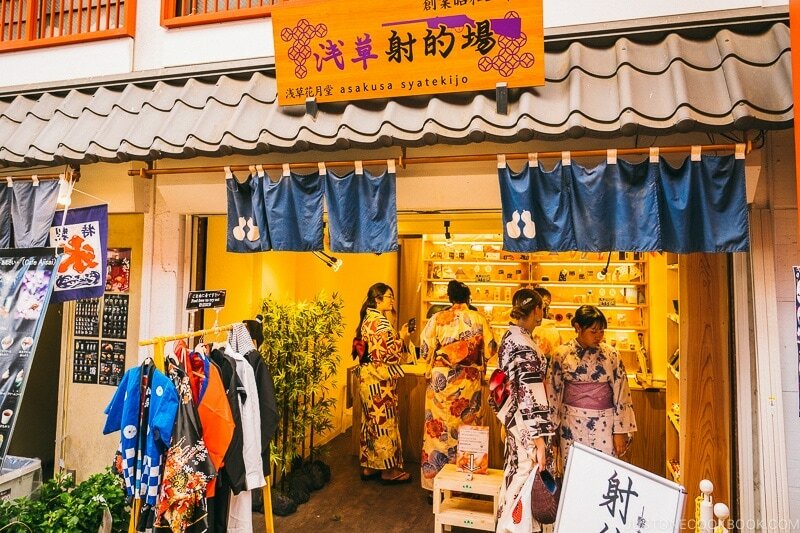 When you’re done visiting the temple, head to the west and you’ll find Asakusa Nishi-Sandō Shopping Street. 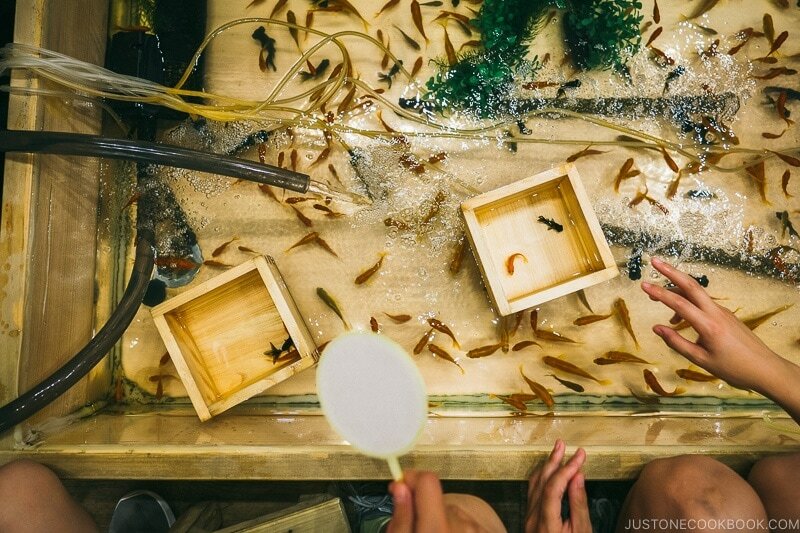 If you have little ones, there are some traditional games they can play there including dart and catching gold fish. 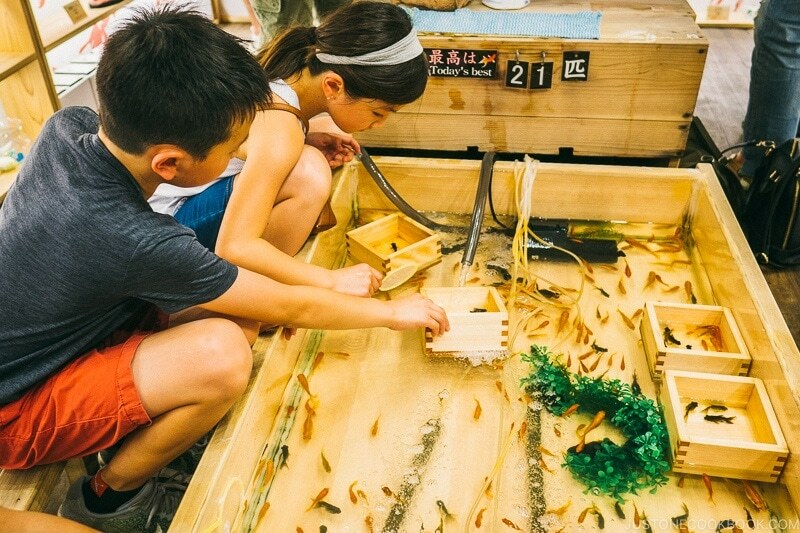 At the catching goldfish store, you’re given a net made of paper and the goal is to catch as many goldfish as possible before the paper breaks. You can either take the goldfish home or exchange them for prizes. 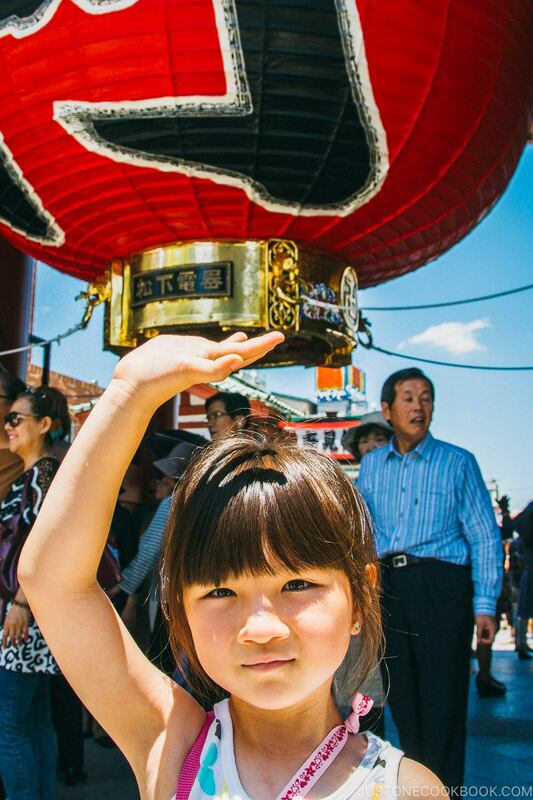 It was a really hot day when we visited Asakusa but our family still had a fun time. We actually went to Tokyo Skytree to eat some delicious sushi during the middle of our visit. More on that in the next post and we’ll share the Tokyo Cruise ride to Odaiba soon. 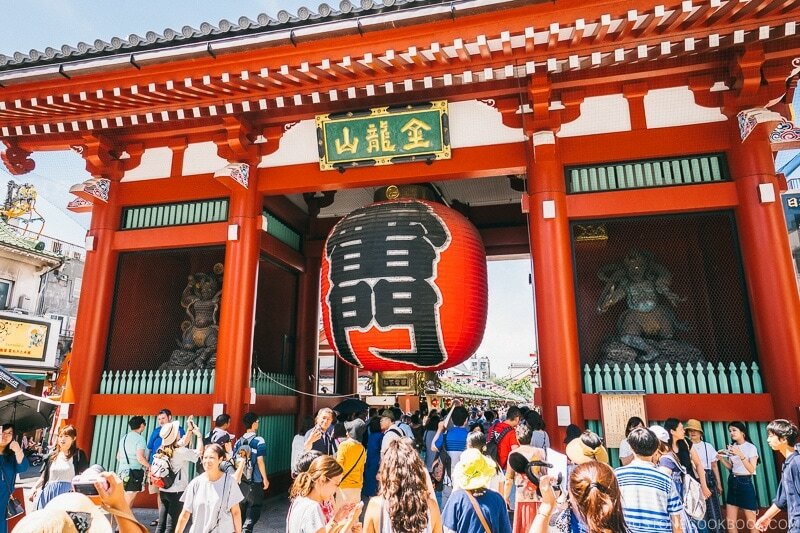 As always, thank you for reading the Asakusa travel guide and we hope you find it helpful. 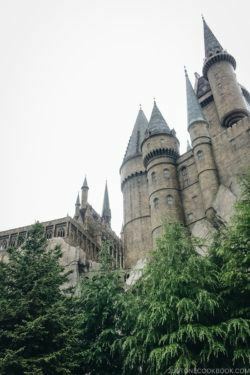 If you are interested our other Tokyo adventures, check out the posts below. See you soon at Tokyo Skytree. LOVE it!!! 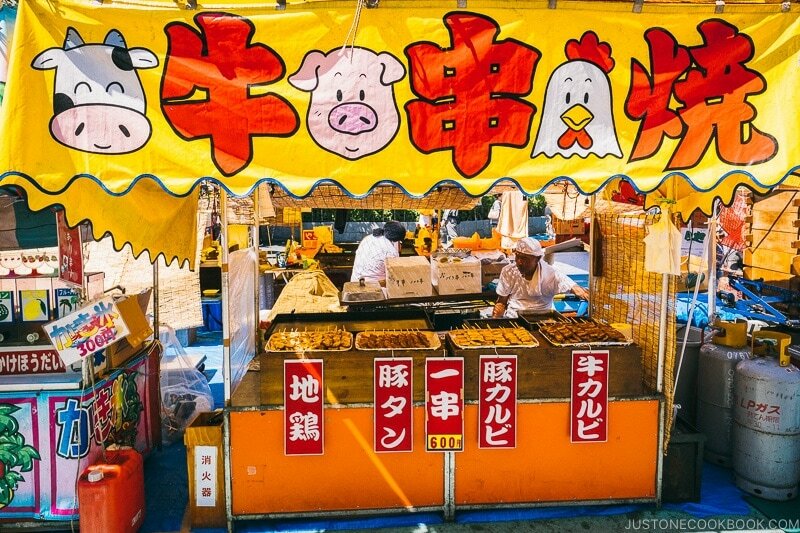 We are planning to spend our first night in Asakusa, so this is great info for us! Also, thanks for sharing your tip on mobile phone, it is very useful!! Hello! 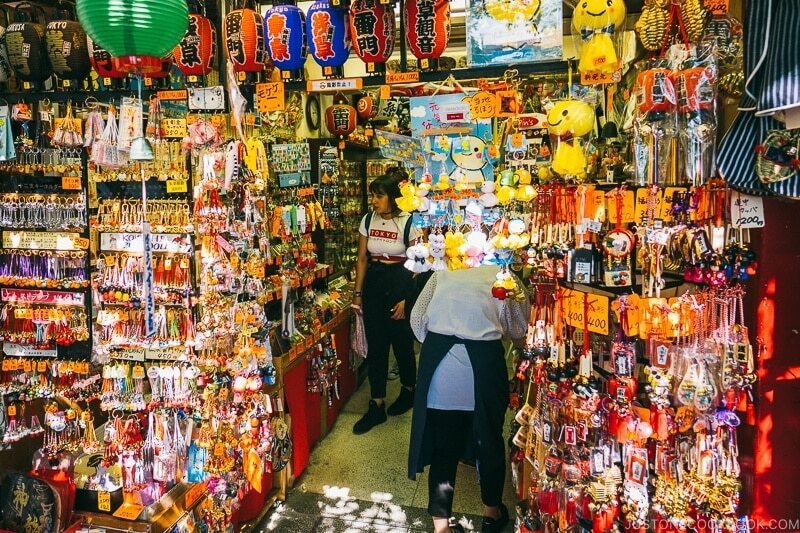 My partner and I just returned from japan….we stayed in a small ryokan in Asakusa …just beside the market by the temple….we were there several times a day. We loved the whole thing! We travelled to Mt Fuji and stayed for my Phill’s 64th birthday right beneath the mountain, which unusually for this time of the year, cleared…and did so while we were enjoying our own onsen, and while the full moon was rising. It was rather special. 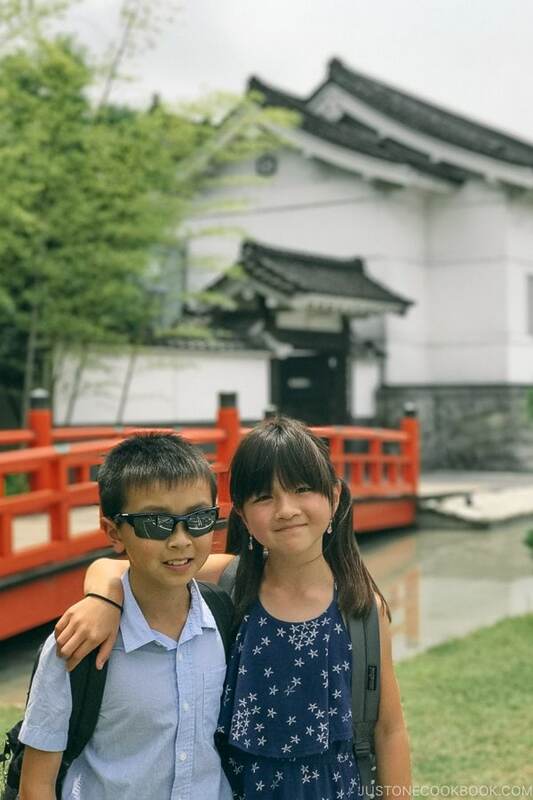 We then trained over to Kanazawa …..on the river there in another ryokan, larger this time, we enjoyed the fishing season, the eagles by our balconies, and most of all…for our entire trip…just everywhere in japan…..the food. We also took a day trip up to Wajima to obtain lacquer ware and to find, happily successfully for my Phill, a suiseki stone. It was our first time in japan….after loss and life etc, we have struck out bravely together in an 18month old relationship …we are the loves of our lives and to have two whole weeks exploring a little of a country we have always sought to visit was extraordinarily special….so much so that we shall return next April. …intending of course to get back to Kanazawa. We loved it particularly…..
We were very lucky also to see the jade cabbage…on show for its two weeks in the National Museum in Ueno. 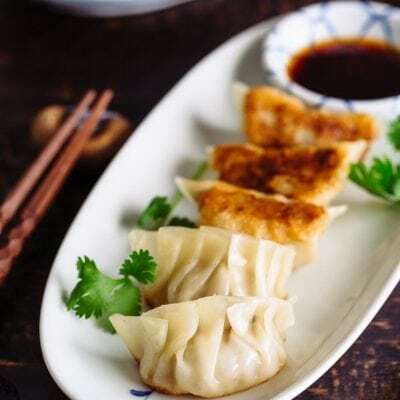 We love Japanese food. 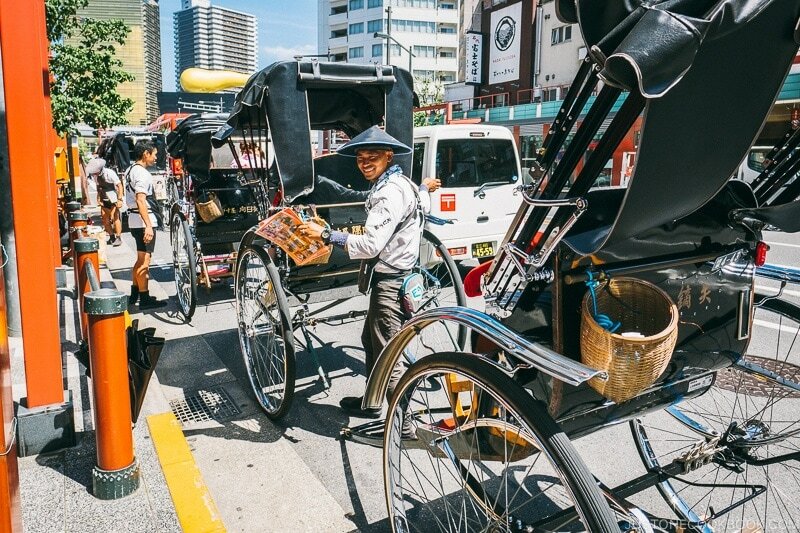 We love the culture…the crazy over the top wild city life alongside the older rich traditions and rituals. 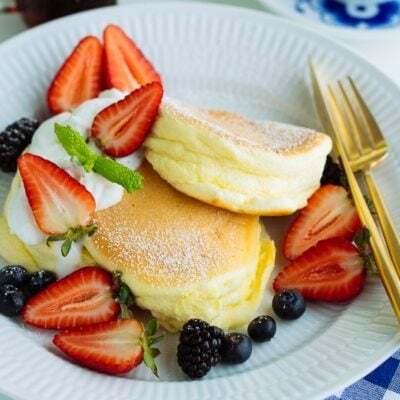 Thank you for your blog! Jane. i am in similar situation as Jane G and wonder if she (and Nami) would share a best 10 day itinerary for me and my partner. I want to create awesome memories but dont have a huge pockebook. Can you help? Hi Donna! Thanks for your request. We usually travel to one location/area for several days but this year we started to spend a week in different areas using JR Pass. Our plan is to work on area to area every year. The reason is that we live here every summer and there is no need for us to rush when traveling. 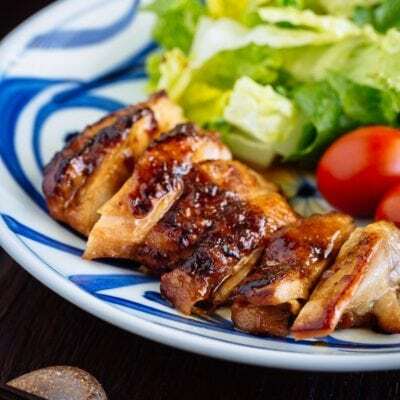 So I prefer to feature one area at a time to introduce in depth the particular area in Japan. Everyone has different interests and I hope what we saw/visited may interest some people, even not all of it. As we travel with our children, our travel plan may not work for some people as we tend to avoid shopping or shopping district. Usually in the post, I include how many days would be necessary to look around. Hope everyone can pick and choose the locations where I featured on my blog (and I still have A LOT of places to cover). lovely to read your adventures, Nami. Brings back such happy memories. Wonderful! A fun place to visit. This is very important information for traveling to Japan. Thank you so much. I am so so jealous of your yearly trips to Japan!! It is such a great to visit. Your travel tips are helpful because it can get so confusing. We get the Japan Rail Pass every time we go… it is so convenient. We are hoping to save our pennies and visit next year. Osaka. I was actually born there (father in military), but have not been back to Japan since I was an infant. Hi Mark! Thank you for your comment/entry! But make sure to leave your comment/entry in this Giveaway post. 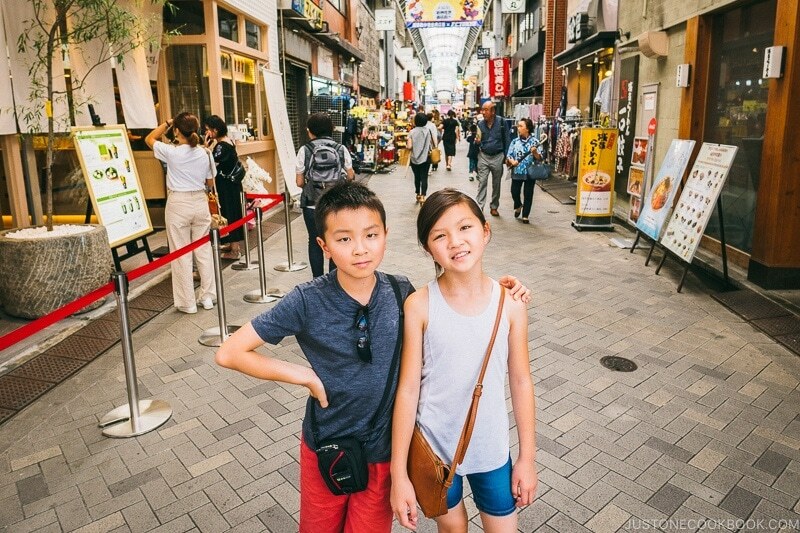 When my sister and I were in Tokyo in May, we visited Asakusa twice. We loved its charm. The temple is so beautiful everyone who goes to Japan should make this area a must. What fantastic information! 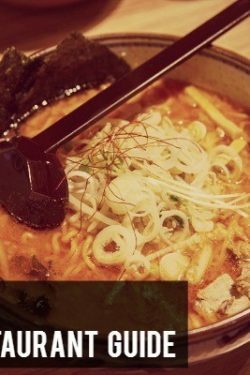 Such an informative and useful post — so useful to someone who has never visited Japan, but desperately wants to go. Fun pictures, too. Thanks for this. 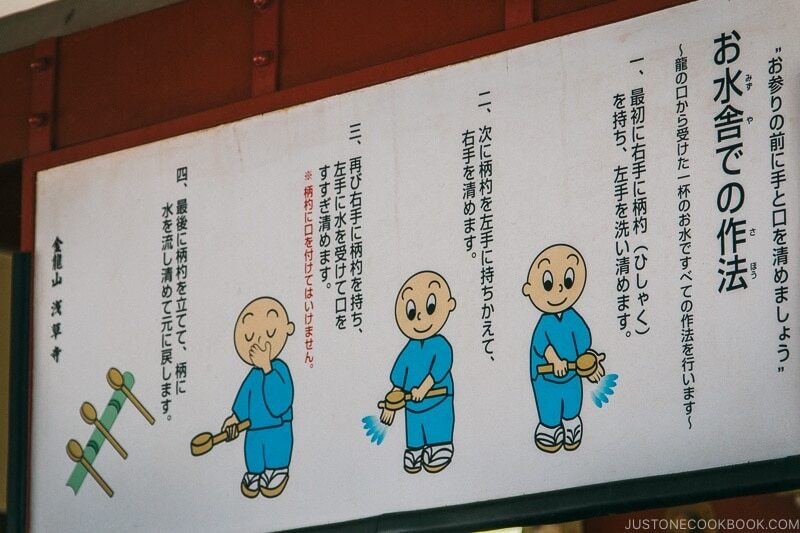 What a great post…I will be sure to reference when and if I ever make it to Japan!! What a comprehensive travel write up for Japan. I’m bookmarking this one for our next trip. Just tonight we were talking about going back for a longer stay and visiting other cities in Japan. Thanks for taking the time to describe in detail many helpful tips. Have a good week, Nami. i dont know when i will visit Japan but this was one informative post. Such amazing and complete info for a trip. One day I hope to go to Tokyo. And Asakusa looks cool. great pics of the trip. Following you on Google too! Following you on Pinterest everyday!!! Sounds wonderful. 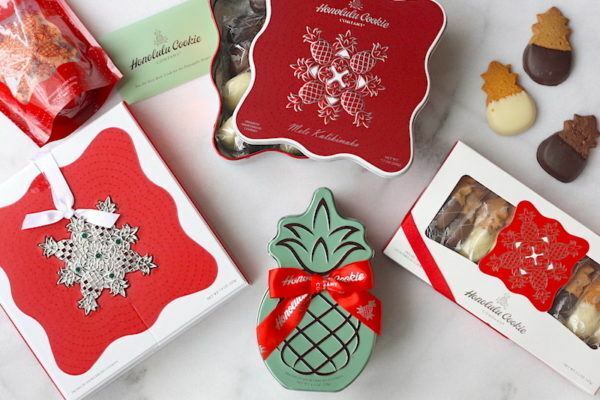 May have to visit there when I go over for vacation in a few weeks. Also wanted to make a little update on your post. If you fly into Narita and going directly toward Tokyo area, you can get a discount ticket for the Narita express for 1500 yen. Also if you are traveling with multiple people, or you like to use your own phone, there are a few online companies that will rent pocket wifi’s for ~1000 yen per day. You can pick it up right at the airport, or have it delivered to your accommodations, and you get generally free internet. Maybe something to look into on your next trip! Ah yes, I agree transportation costs during holidays are usually pretty high, most of the time we hire a car (instead of taking taxis) and it also gives us more freedom to get around. 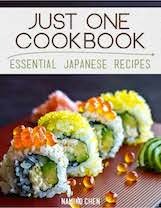 We are planning a trip to Japan, hopefully next yr, this will come in very handy. Thx Nami! amazing pictures. What a wonderful trip. I would love to visit Japan one day! 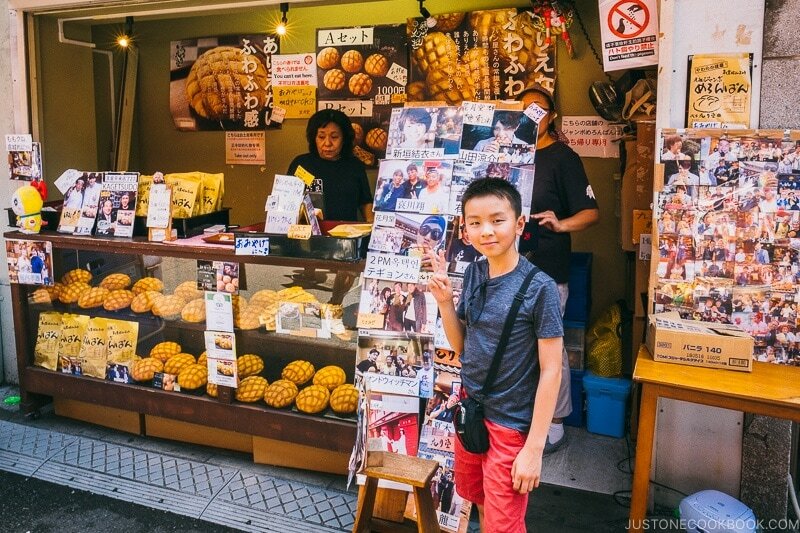 Next time you’re in Asakusa, try the melonpan guy. As you’re leaving the temple, he’s an immediate left at the main gate with the langern. There’s always a line. His breads are always fresh and hot. 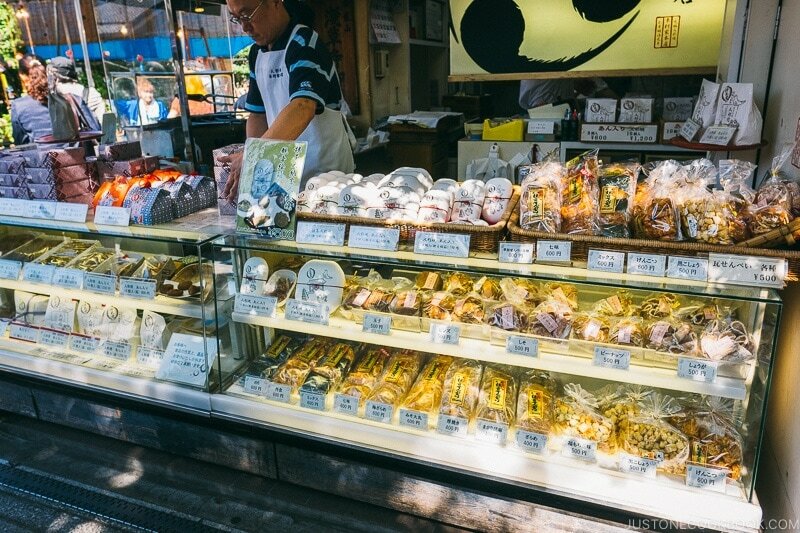 He has other baked goods and sake, but we never got past the melonpan. It’s the lightest bread ever. There’s also a great coffee roaster on Kapabashidori. We got a kilo of his iced coffee blend once. He roasts everything there himself, but also sells home roasters and green coffee beans, and everything for great coffee. Wow Nami this is a wealth of information!! I hope one day to be able to visit your beautiful country. I am very impressed by your work! You must have spent days preparing this post and it’s incredibly useful. Even for those who have already been to Japan, like me. I will print it and take with me next time. Thank you for all the useful tips! This is so helpful. Thanks Nami! 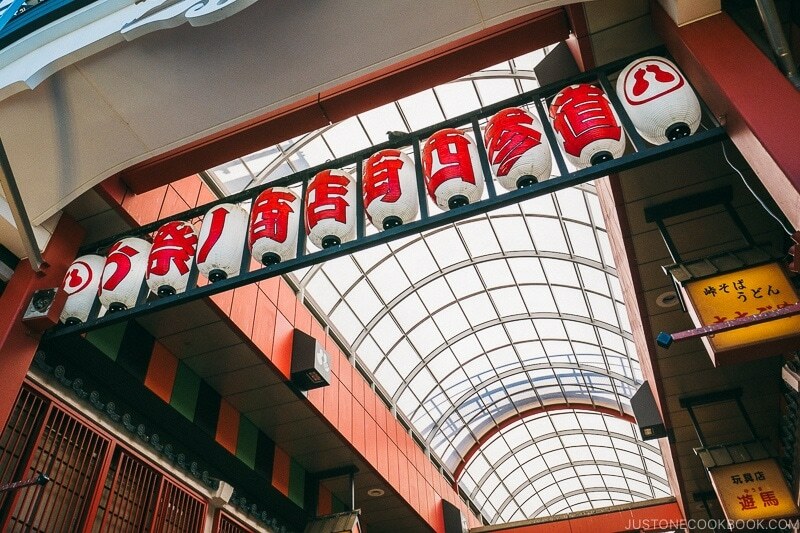 Visiting Asakusa is one of the things I did last year. I am so proud that I had the opportunity to visit such a great place! Best regards! Oh My Goodness, what a fantastic Travel Blog. I went to Japan last year and would have been in a complete daze had it not been for my 2 friends who showed me how to catch the metro and things to see in Tokyo, before they left. 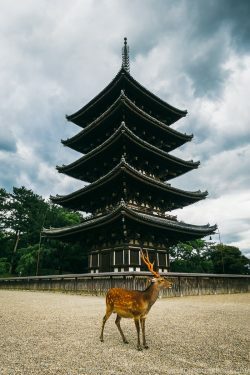 There is so much to see and do, and I thoroughly enjoyed every second of my Japan experience, the culture, the friendly people, the cleanliness, the excitement of discovering so many new things. Thank you so much for all your hard work and attention to every little detail. Hi Rita! So happy to hear you enjoyed your trip to Japan! And how exciting that you have a plan to go back too. Hope my travel posts will be helpful. 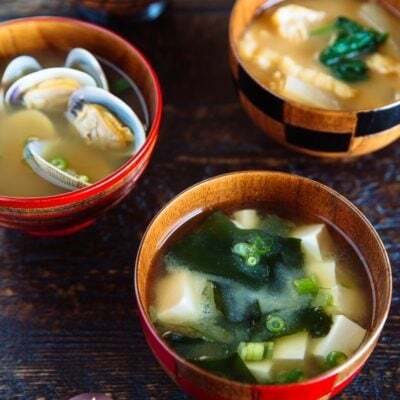 Have you heard of Nagomi Visit? Thank you for all the information! 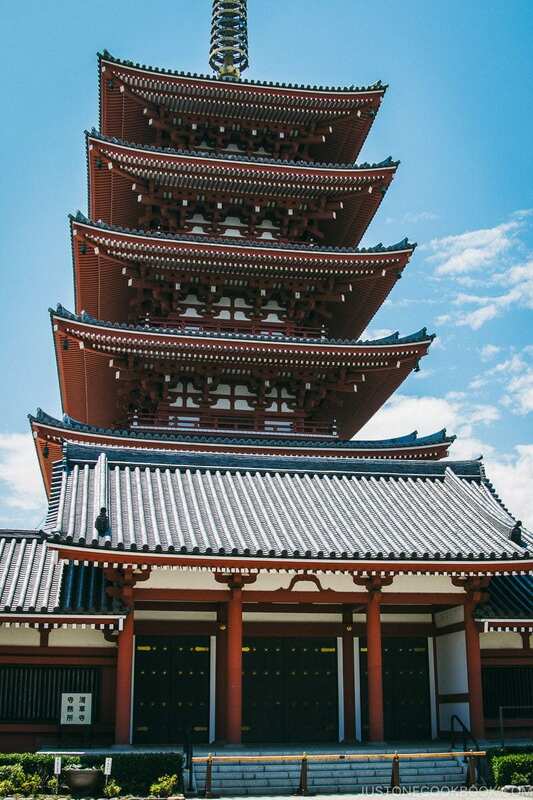 My husband and I moved to Tokyo in August (first time in Japan) and have been planning a day trip to visit Asakusa. There’s been so much to see and do, so we haven’t had a chance to visit the area yet. It’s nice to have a plan once we find a day to go! If you have any advice for how to make the most of our experience living abroad in Japan, please share! Thank you again! Hi Lynn! Stop by at the airport and get a sim card if your phone is unlocked? That’s what I do… I use Sakura Mobile and it works great! Have a great time in Japan. I agree, having data plan and use Google map makes traveling SO MUCH easier! Hi Nami, do you think the b-mobile visitor SIM is necessary I’d you have pocket WiFi? Thanks for the helpful post! The visitor SIM is not necessary with pocket wifi. We also prefer Sakura mobile over b-mobile these past few years as their data is much faster. I hope you remembered to get your fortune at the temple (Omikuji?). I think that’s always a must and a lot of fun too, unless it’s not a great fortune. 😉 I was also told the large cauldron of incense in front of the temple was for good health. 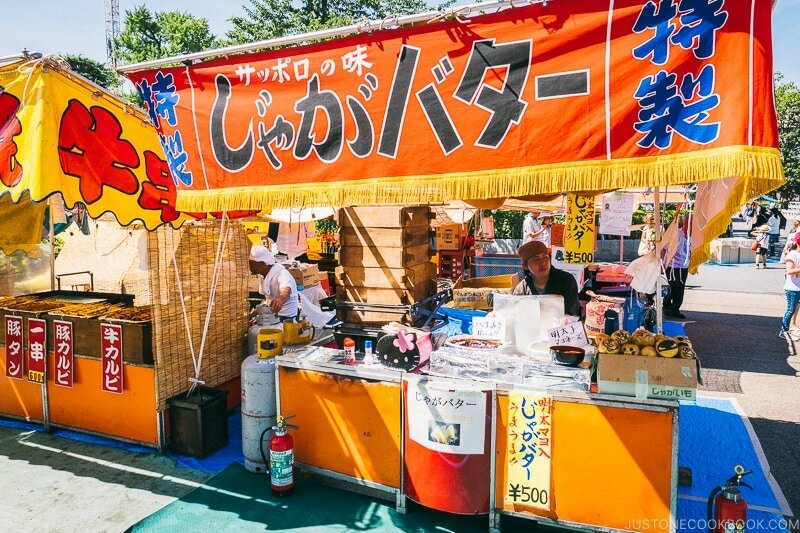 Is it true Asakusa is known for excellent tempura shops? 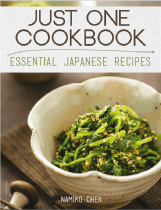 I think I read it in a guidebook once, but never tried any the few times I’ve been to Japan. 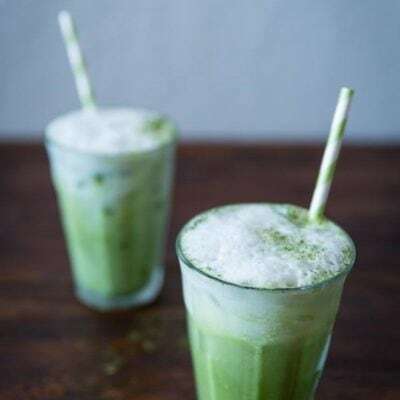 If you have any recommendations to share I’d like that! Hi Roy! Just FYI (or people with interest), omikuji is not a must thing so you don’t have to do it (but it can be fun!). The smoke is to “cure” bad areas of your body as well as for overall health. 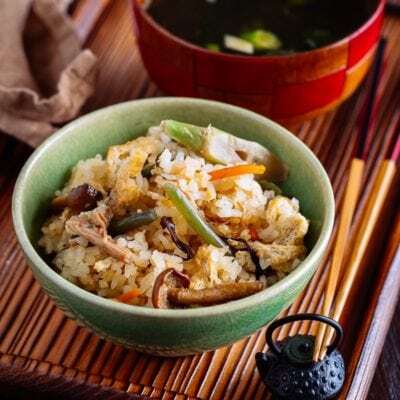 🙂 Masaru is a very popular tendon (tempura donburi) restaurant in Asakusa. Maybe you must have heard of this restaurant. 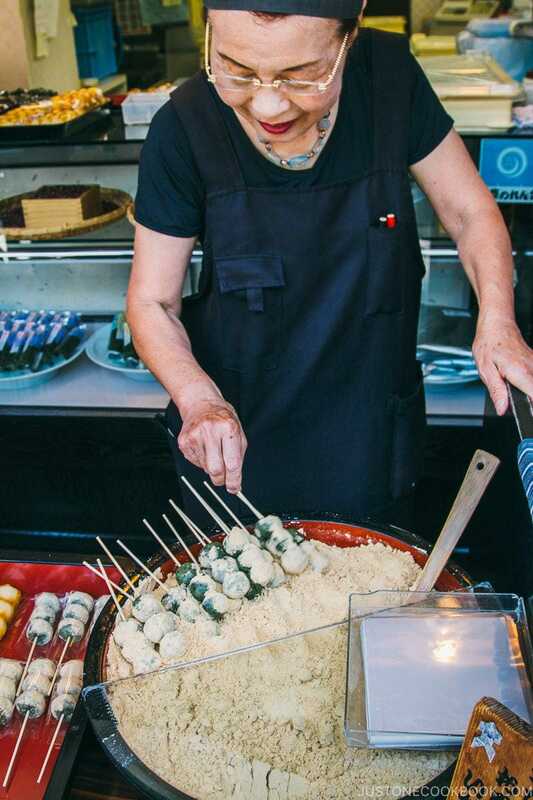 Just like many other districts of Tokyo, there are always so many famous and well-known tempura restaurants, so not just Asakusa. 🙂 Masaru has a looooong line before even opening. 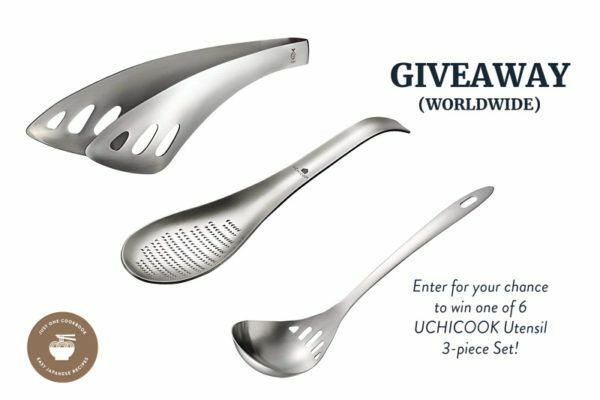 I was hopeful that Uchicook would have the small flat whisk that you use regularly esp when beating just a few eggs; alas, no luck. 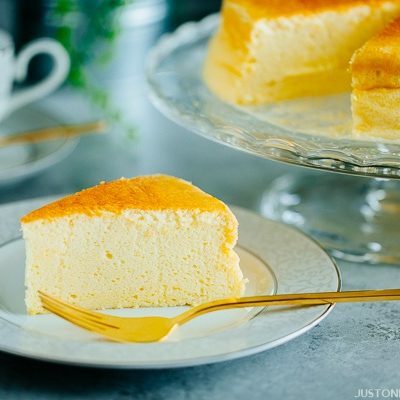 Nami, where can I find that low profile bowl whisk? 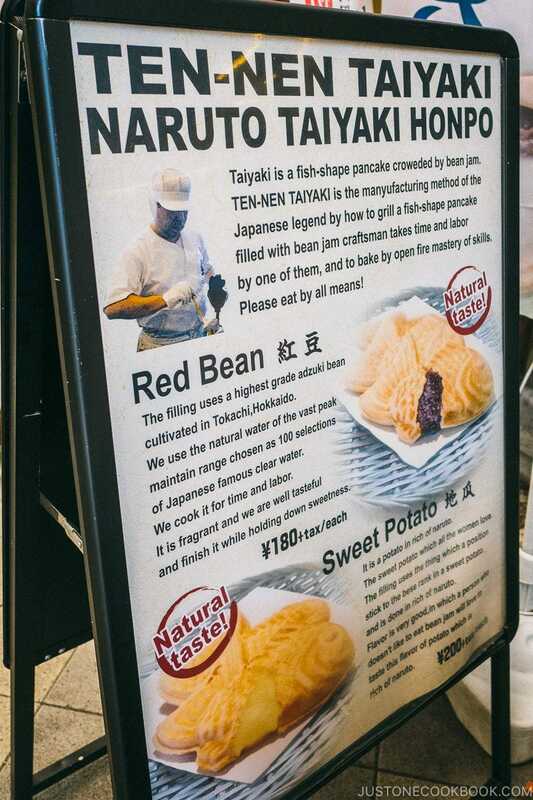 Traveling to Japan next spring and that would be my best find. Doy you drink the water from your left hand or do you spit it out?